Between the crazy summer of no internet and Typhoon Soudelor (and our extra transitional last few months), all of my creative pursuits have been solidly on the back burner lately. And then these last couple weekends I threw two parties back to back (I don’t do anything halfway- if I’m going to re-enter the Creative Pursuits world, the deep end it is). With this plunge back in, guess what I realized, friends? 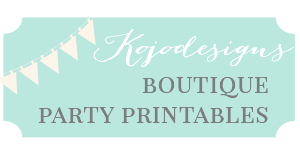 I really love making things and throwing parties! I know that probably shouldn’t be such a crazy realization (haha! ), but sometimes a little space and distance brings such perspective. Sometimes the blogging side of my world muddies the waters and makes me wonder what parts of my creative pursuits are me and what parts are for the blog. And this little break has helped me realize just how much of a part of ME creating really is. 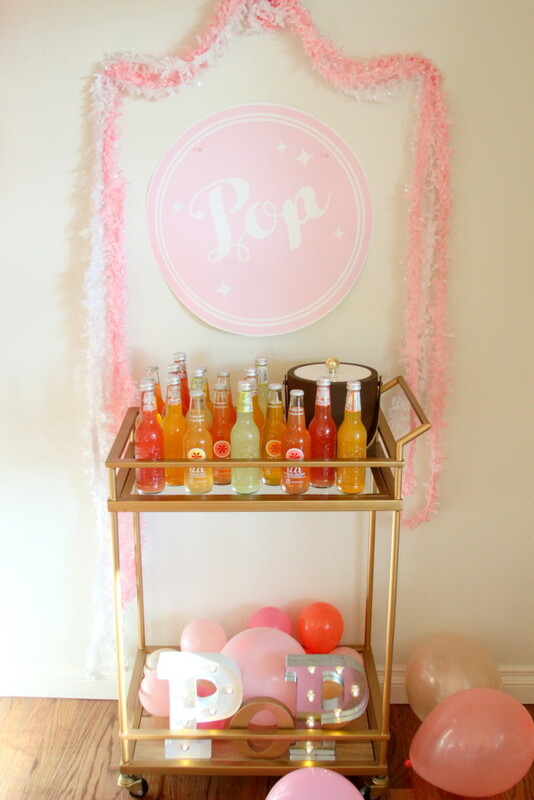 As in, with no blog, I still would throw crazy parties and make things for my kids. That may seem obvious (and it is once I really consider how I’m wired), but it’s been such a great reminder and realization for me. 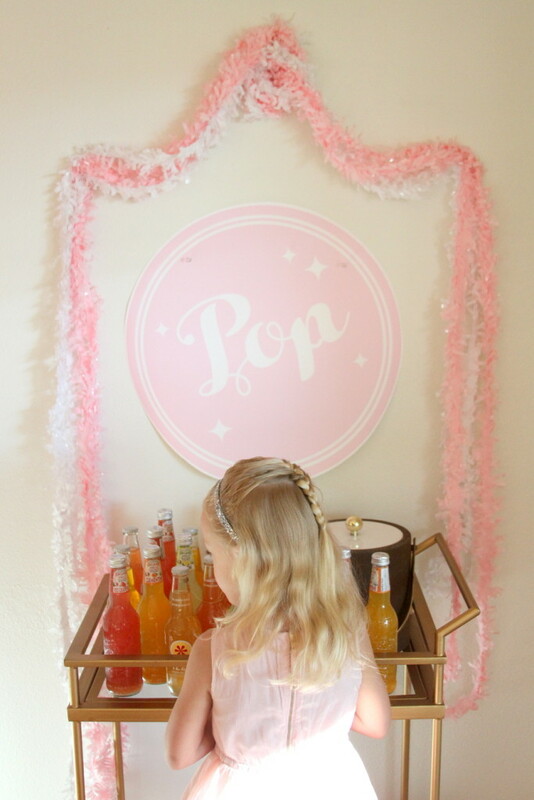 Which brings us to a little sneak peek of Piper’s extra-late birthday party- the soda pop bar! 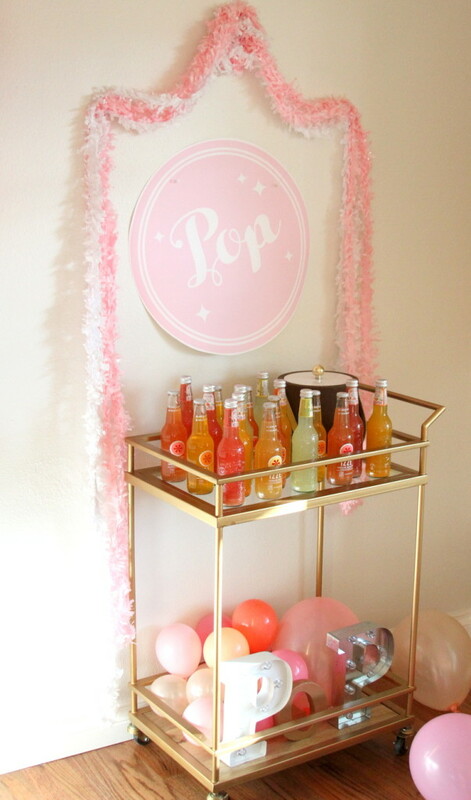 I think if you weren’t a crazy party person like I am, you could add this little soda station to any party and it’d be the One Big Wow Factor to carry the whole party. I didn’t do that (because, like I said, deep end), but you totally could. 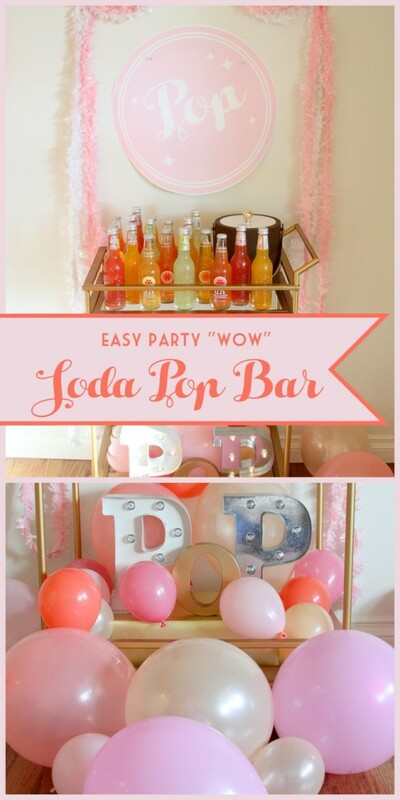 The best part of this soda pop bar is that it is both easy and inexpensive to put together. 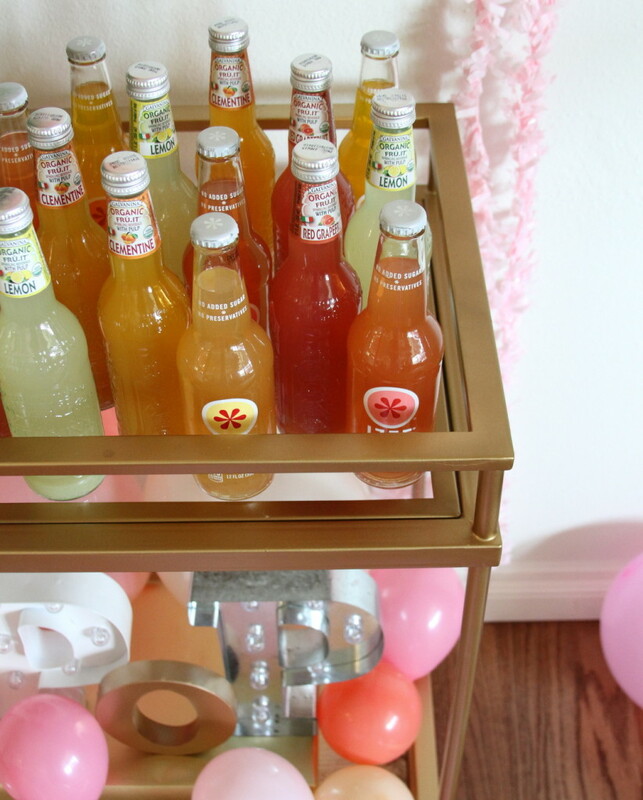 The lineup of pretty sodas cost less than $25. 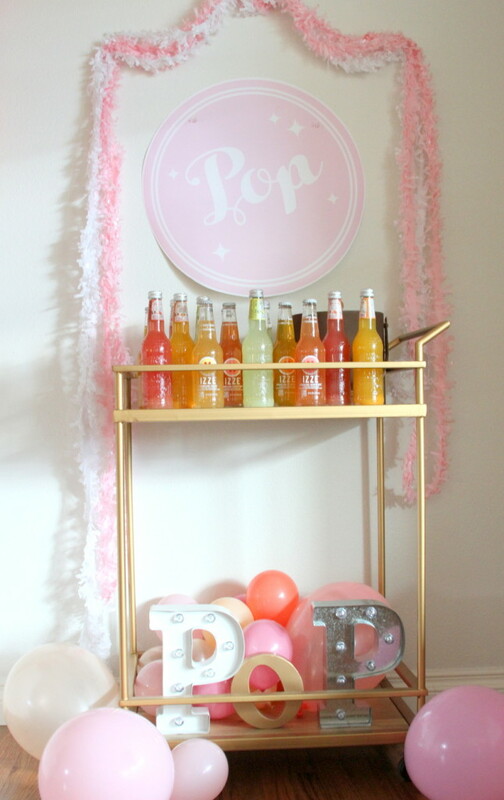 And the marquee “P”s were so easy to find on sale (they’re everywhere right now!). 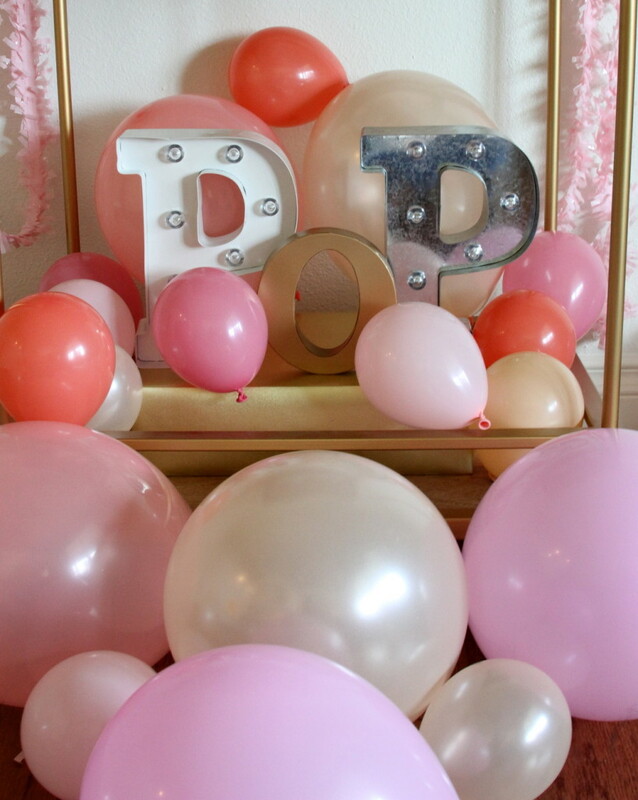 I spray painted a basic “O” to complete the P-O-P sign, added a whole pile of balloons (I got the fun colors from Sweet Lulu) and that was it! Love this! What a fun idea for kids. I know you’ve been a bit…distracted (ha! )…but I was hoping you’d share some parties! Dayna, so much fun to be working on parties again!!! 😉 Thanks friend!